Saturday - Sunday By Appointment Only. We offer 24/7 emergency services. 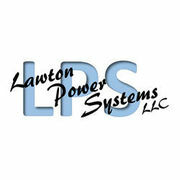 Rate and review Lawton Power Systems LLC in Montrose, PA, United States! Share your experiences at Lawton Power Systems LLC with your friends or discover more Miscellaneous in Montrose, PA, United States.